(Foot Tapping Records) 12 Tracks - Don't judge by the cover, this ain't Psychobilly! This is bluesy Rockabilly and Rock'n'Roll in its truest sense! Rock it up! Hot boppin' groovin’ 4 piece group playing rockin' roots music with a guitar, double bass and stand up drums. 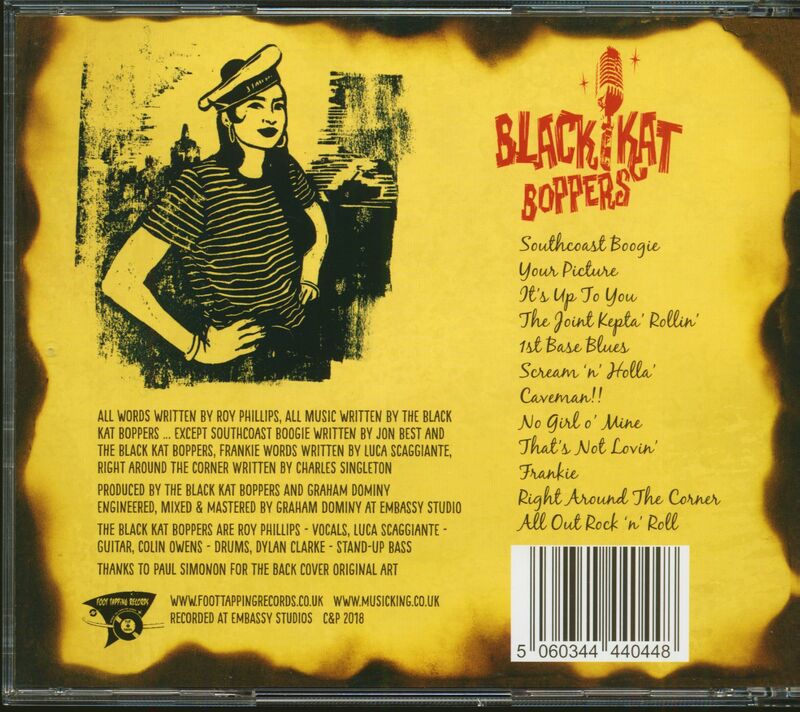 Black Kat Boppers hail from down on the South Coast Water Way in Southampton, UK. 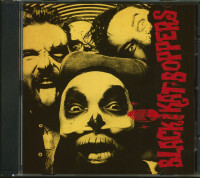 They are 4 fellas who love to play hard boppin’ jump up rockin’ blues. It's music for dancing. 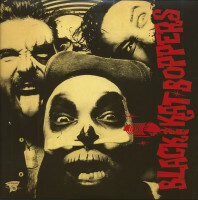 Black Kat Boppers formed In December 2009 after some chance meetings, speculative phone calls and a little bit of fate. A shared love for rockin’ roots music was clear and they haven’t looked back since. There’s been triumphant performances at Glastonbury, Port Eliot, Bestival & Hyde Park (with Blur & The Specials). They’ve rocked Notting Hill Carnival, Rockabilly Rave & Latitude, not to mention performing a memorable set with Florence and The Machine at Bob Geldof’s 60th birthday party. They’ve been joined on stage by Damon Albarn as well as working with him in the studio and have regularly had Clash legend Paul Simonon playing with the band. Paul Simonon, who has been a great support to them, also appears on their debut album “Boppin Atcha” and has done the sleeve artwork. The album was released on Foot Tapping records in September 2013. Right across the board people seem to be lovin’ it – young, old, stupid, clever, hippies, punks, students, drop outs, mums, dads, drunks, weirdos, ravers, strippers, rockers, mods… Everybody loves that raw sound!!! Gaz Mayall declared “I’ve seen hundreds of rock n roll bands and The Black Kat Boppers are right at the very top!!“. Customer evaluation for "Black Kat Boppers (CD)"